Please join us for an openning reception from 5pm to 8pm on September 15th. 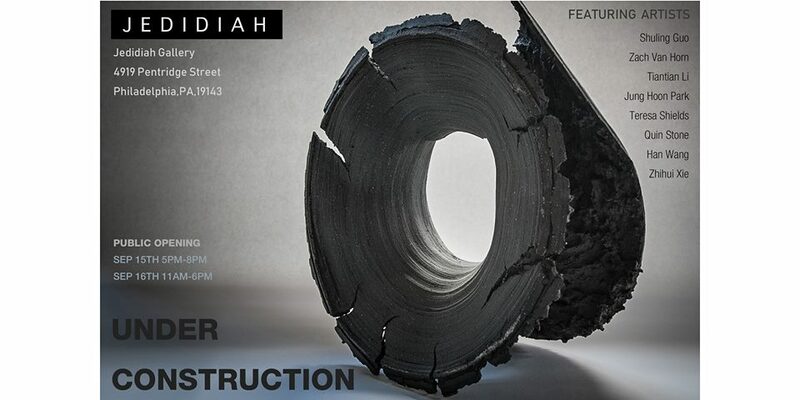 Address: Jedidiah Gallery, 4919 Pentridge St , Phiadelphia PA 19143. Featuring Artists: Shuling Guo, Zach Van Horn, Tiantian Li, Jung Hoon Park, Teresa Shields, Quin Stone, Han Wang, Zhihui Xie.